Natural, Non-GMO Flavors, Colors, and Sweeteners as you would expect with a great cherry flavor and teddy bear shaped. 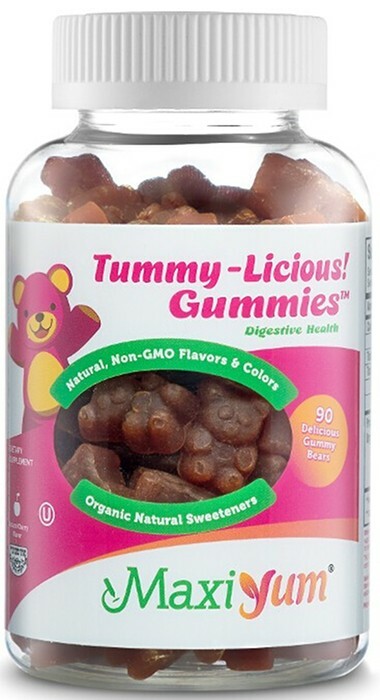 Tummy, antioxidant, and immune support, It's the right gummy supplement for you and your family. Chew two (2) gummy bears at once, up to 3 Times daily or as directed. Other Ingredients: Organic tapioca syrup, syrup, organic cane sugar, purified water, organic seaweed extract, citric acid, tri sodium citrate, natural colors and flavors.